Soviet painter, teacher. Member of the Union of Artists of the USSR. Born in 1932 in Leningrad. She studied at the Central Art School at the Leningrad Institute of Painting, Sculpture and Architecture named after I. Rapin (1948−1953). 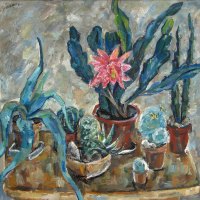 In 1953 she entered the first year of the institute, which she graduated from in 1959 in the workshop of Boris Ioganson with the title of artist of painting. Thesis — the picture "White Nights". Member of the Leningrad Union of Artists since 1960. 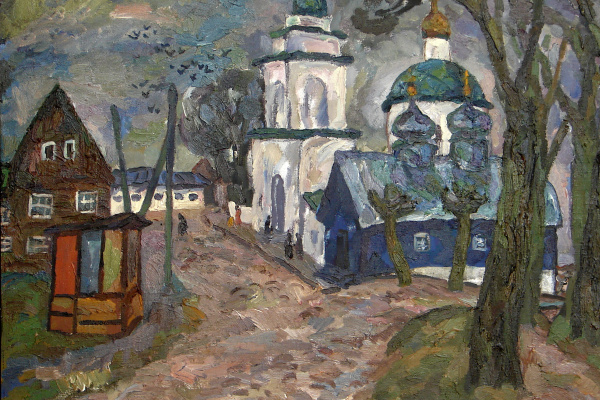 In 1961−1968 she taught painting at the Leningrad Higher School of Industrial Art named after V. Mukhina. In 1970−1980 she made creative trips to Altai, Crimea, Karelia, Kostroma, Pskov region, visited France, Italy, Syria, Lebanon, England, Holland. Since 1959 she participated in exhibitions, exhibiting her works together with the works of leading masters of fine arts of Leningrad. 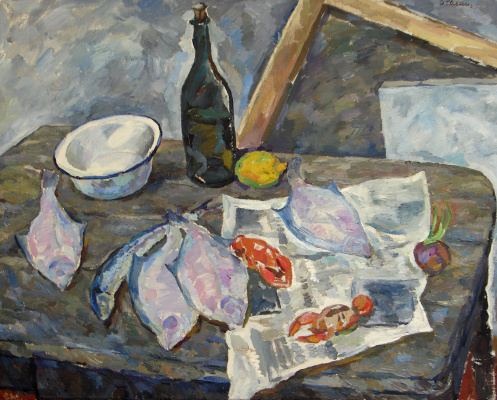 She worked mainly in the genre of landscape, still life, interior. Together with her husband, artist Hermann Yezhishin, she participated in the exhibition of eleven Leningrad artists of 1972. 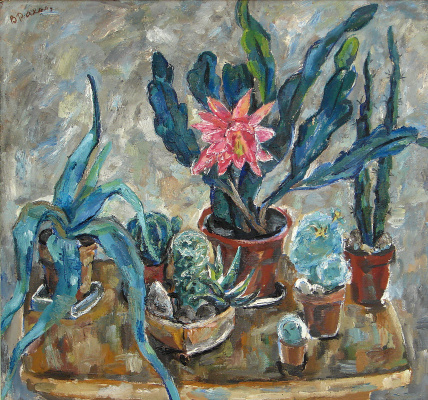 The personal exhibition of Valentina Rakhina was held in 1985 in the halls of the Leningrad Union of Artists. 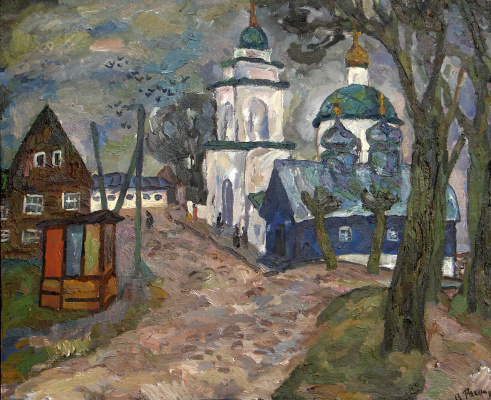 Works of Valentina Ivanovna Rakhina are in museums and private collections in Russia (including the Russian Museum and the State Tretyakov Gallery) of the USA, Japan, Belgium, Switzerland, France and other countries. Soviet painter, teacher. Member of the Union of Artists of the USSR. Born in 1932 in Leningrad. She studied at the Central Art School at the Leningrad Institute of Painting, Sculpture and Architecture named after I. Rapin (1948-1953). 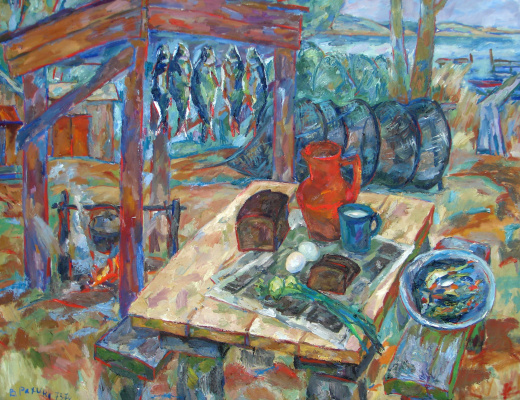 In 1953 she entered the first year of the institute, which she graduated from in 1959 in the workshop of Boris Ioganson with the title of artist of painting. Thesis - the picture "White Nights". Member of the Leningrad Union of Artists since 1960. In 1961-1968 she taught painting at the Leningrad Higher School of Industrial Art named after V. Mukhina. In 1970-1980 she made creative trips to Altai, Crimea, Karelia, Kostroma, Pskov region, visited France, Italy, Syria, Lebanon, England, Holland.